Sorry Hebrew translation for this is missing from my original files. The Daily Zohar celebrates 3 years today. Thank God and Rabbi Shimon for supporting use study Over 900 lessons from the Tikunei Zohar. “This is the book of Adam” Rabbi Shimon opened and said; “I raise my hands to the Creator of the world to reveal to us supernal, hidden and concealed secrets to be said in front of the Shechina above, with her 600,000 holy angels and the Shechina below, with her 600,000 holy angels. This is the ‘story’ about Adam Kadmon and how the world of Atzilut and the lower worlds were created from him. The Zohar tells us in Genesis 37:2 (old Zohar pages reference) that, the secret is in the 12 sequences with 36 letters shown here. The world of Atzilut has 12 ‘faces’ as we learn from the “Tree of Life” by the Holy Ari and they are listed below. 1. Atik – עתיק- Its name came from the word means ‘copy’ and ‘ancient’. A copy from Adam Kadmon and ancient because of being the first. 2. Nukva – female of Atik that is also called Akik Yomin. The female is the aspect of the back side of Atik. 4. Female of Arich Anpin together with the male aspect they form the head of Keter. At this level we begin to see female on the left and the male on the right. 7. Israel Saba – Male – when the original vessels for Chokmah and Binah were formed the light that came down from Arich split into two parts Chokmah and Israel Saba on one side and Binah and Tevunah on the left side. They spread down from the chest of Aba downward. 12. 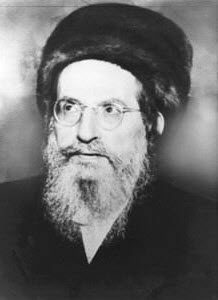 Yaakov – male from netzach,Hod Yessod of Zeir Anpin down. Rabbi Shimon opened heavens for us to reveal great secrets of the spiritual system. When we study them in this world they create returning lights that remove negativity from our life and the world.